You can password protect both form and table widget in QuintaDB. Just go to 'Security' menu. Activate a password protect option and set a login and a password. When the form or table opens you will see a login form. 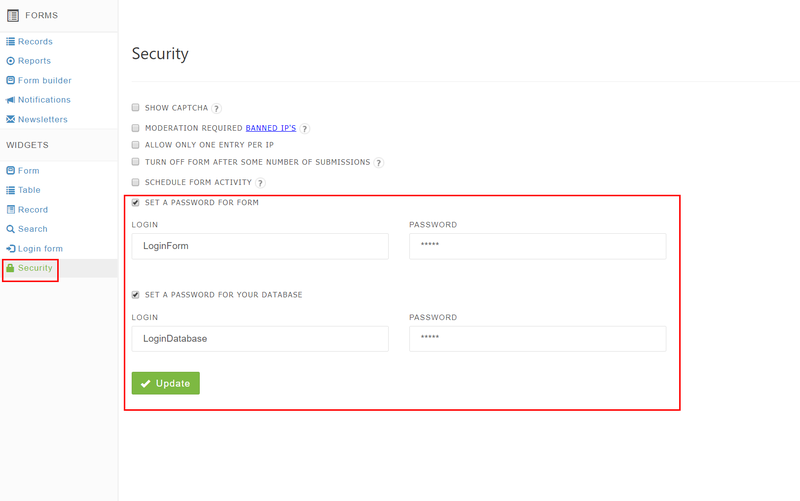 If you enter the correct login and password you'll see your password protected form or table widget. Otherwise you'll see a standard access denied message.